Global superstar Beyoncé has said goodbye to her opinion-dividing bangs, and debuted her new hair style. 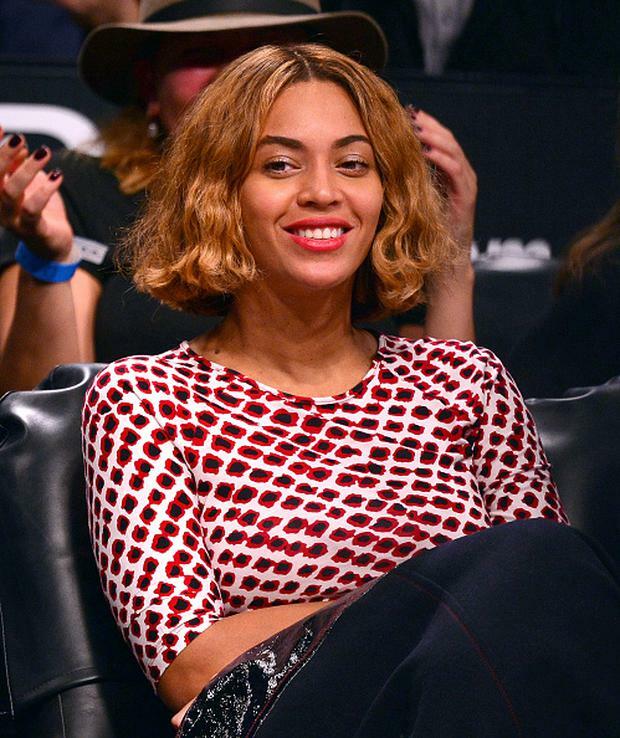 Ever the hair chameleon, Beyoncé has showed off her third ‘do in as many weeks. 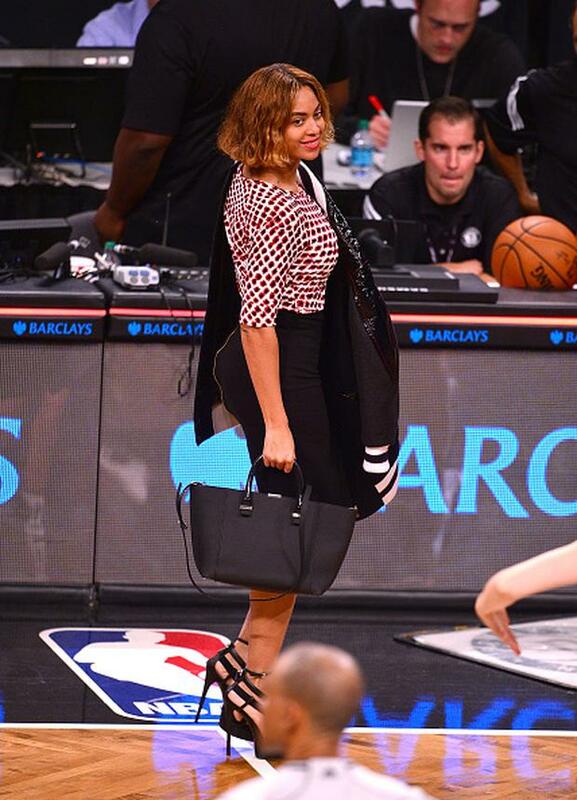 The 33-year-old star attended a Nets basketball game in Brooklyn last night, with her husband Jay-Z. The Flawless singer showcased her new hair do, a blunt bob with a middle parting, as she sat court side in the Barclay’s Centre. The mum of one turned heads in a fitted black zipped-pencil skirt, a graphic print blouse and eye-catching platform stilettos. Over the weekend, Bey stepped out with a long caramel weave, as she celebrated Halloween with her daughter Blue Ivy. The change comes just a fortnight after she made the decision to return to her Telephone-era roll up fringe, which greatly divided opinion amongst her fans. Meanwhile, the internet is awash with rumours that Beyoncé is about to release another surprise album. All the signs are pointing to Beyoncé releasing her fifth studio album, without any advance warning, promotional marketing or teasers. Last night, a link on Amazon, which has since been deleted, confirmed an audio CD by the artist would be available to buy on November 24th. The album, dubbed Volume II, will reportedly carry collaborations with Rihanna, Frank Ocean, Justin Timberlake and Nicki Minaj.